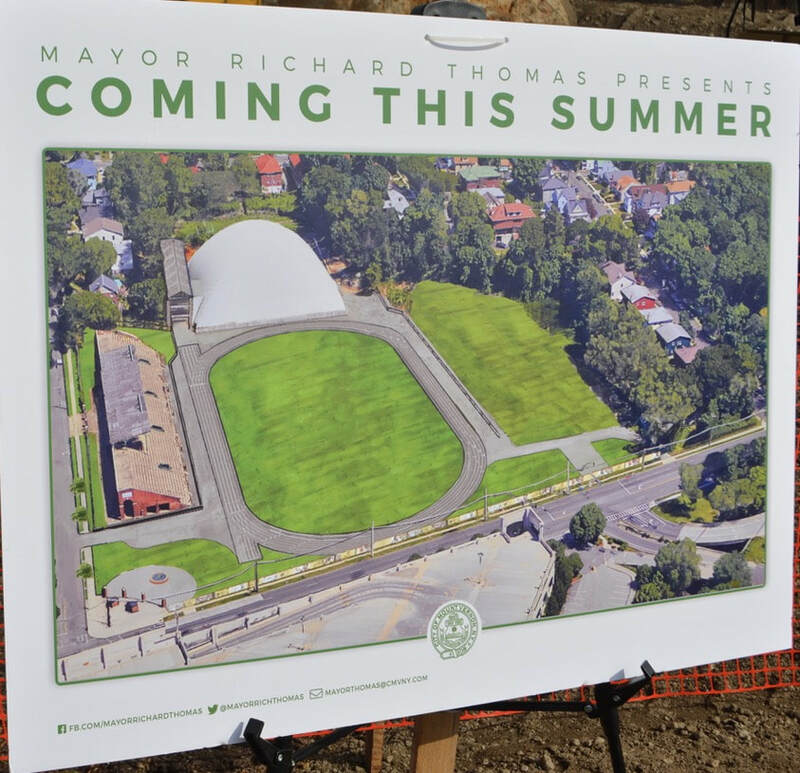 On Wednesday, February 14, at a press conference held at Memorial Field, Mayor Richard Thomas announced that the iconic Mount Vernon park is set to reopen this summer with grass turf and a temporary track available to the public for walking, jogging and other recreational activities. 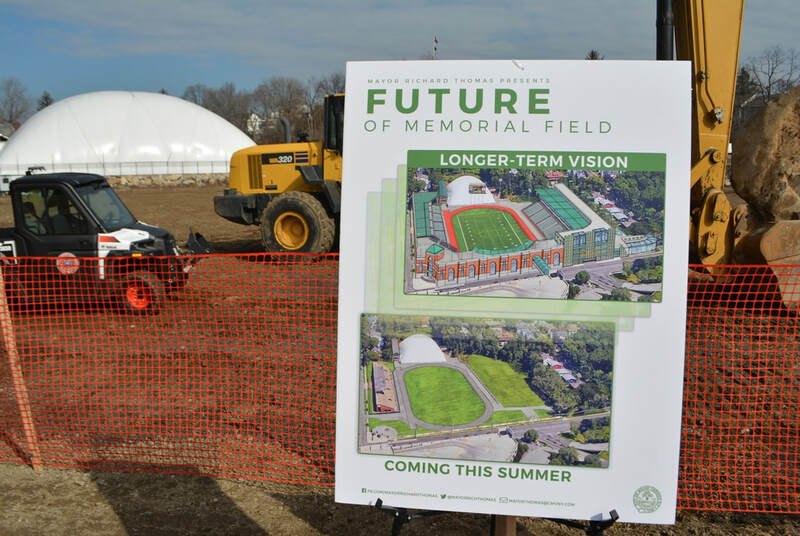 Going forward, the Mayor said the city is employing a two-prong approach to Memorial Field’s restoration. Short-term: deliver tangible results. Longer-term: engage all stakeholders in the final outcome. The first prong is to have the grass grown out and a temporary track installed by summer. 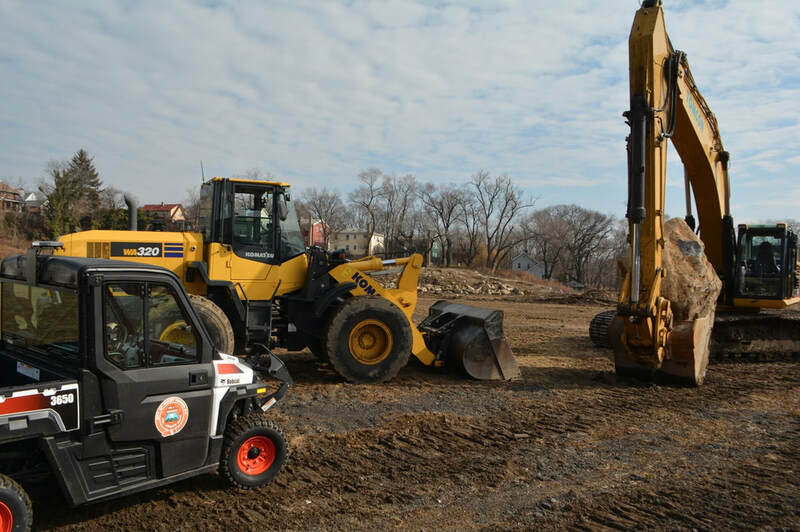 This would allow for walking, jogging, frisbee throwing, pick-up soccer and touch football games and other outdoor activities, with Memorial Field operating in much the same way as Westchester County runs passive parks like the one at the Kensico Dam. Mount Vernon expects to save about $500,000 by doing most of the work in house and taking advantage of off-season, winter trucking rates. The total cost of this phase of restoration is expected to be about $800,000. 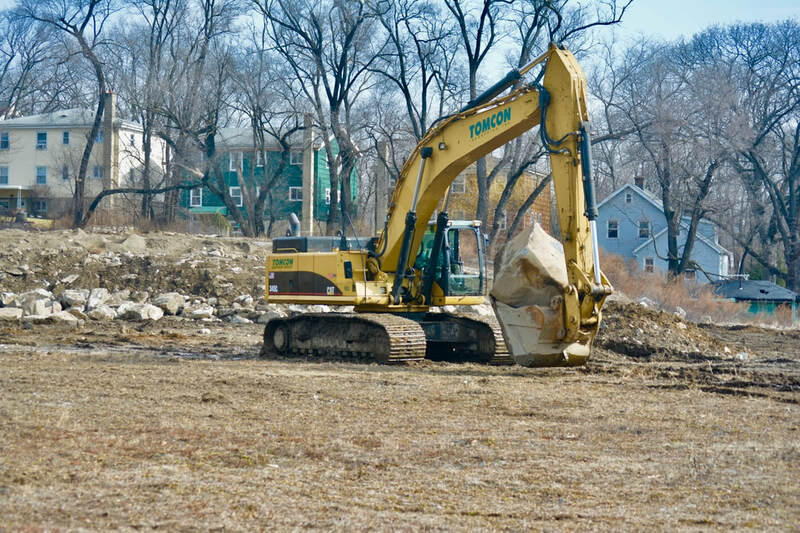 The second prong – working out the long-term future of Memorial Field to put the 12-acre complex on a money-generating footing with a turf field, regulation eight-lane track and grandstands – will continue simultaneously, but will take time to resolve all the financial, legal and operational issues that have delayed progress in the past. To get the longer-term process moving, Thomas is setting up a series of meetings with key stakeholders, including federal, state and county officials, the City Council, Comptroller, the Board of Education, students, residents and business, religious and community leaders. Details of the meetings will be announced in the next several weeks.